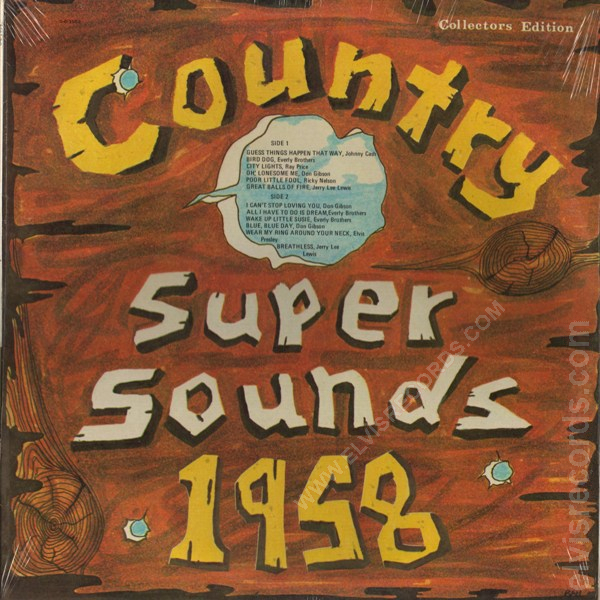 Cover Front: The background is wood grain background with Country Super Sounds 1958 carved into it. Collectors Edition at top right corner and the initials RAH in lower right corner. Song titles in a cloud background. 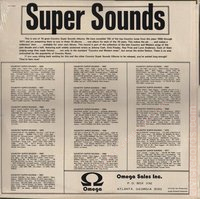 Cover Back: Super Sounds in large font in box. Catalog number upper left corner. 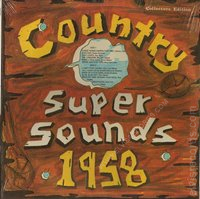 Listings for 16 great Country Super Sounds Albums from 1956 through 1971. 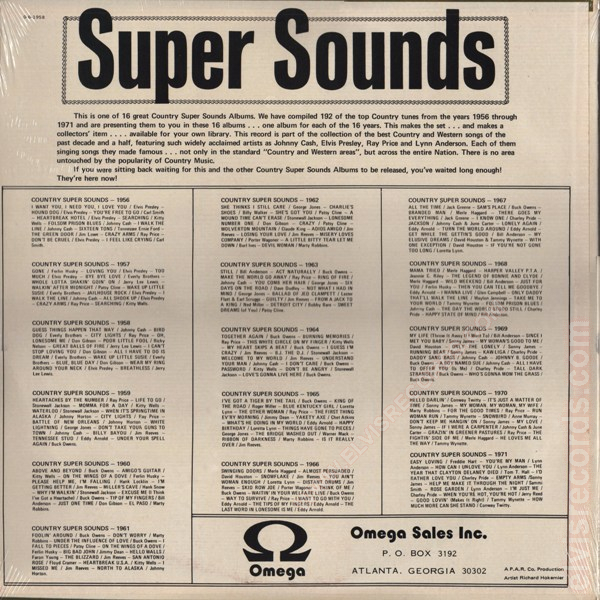 Omega Sales Inc. logo and address bottom right corner.